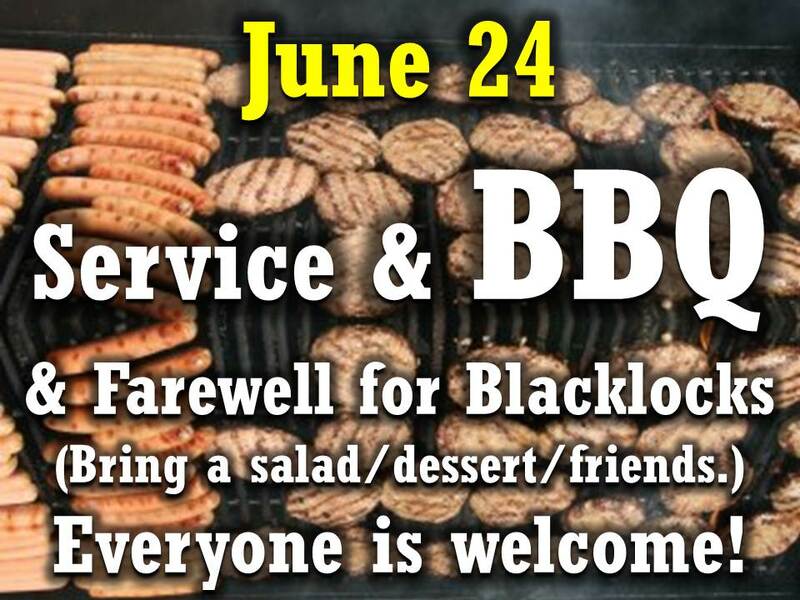 This is our year-end BBQ and a farewell to the Blacklocks (and Brian will speak) right at the ECC. 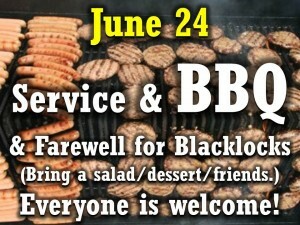 The service is at 10:30AM and the BBQ is right after the service at noon. Everyone is welcome!